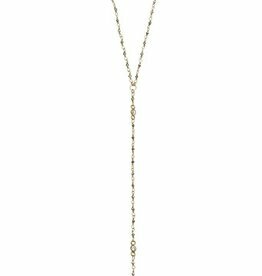 This simple layering necklace features a delicate cable chain finished with Joy Dravecky's signature Logo charm! The Flash Y Necklace is great for layering or wearing alone! 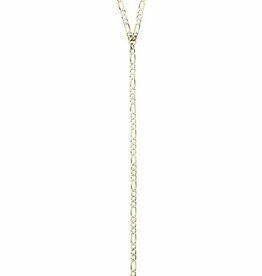 Featuring a two tone gold and silver effect, this necklace goes with every look! The Wayfare Y Necklace is a classic for Joy Dravecky! This sparkly, lightweight necklace is perfect for all of your outfit needs! 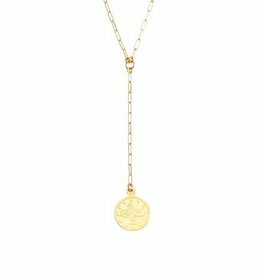 Gold Cable chain in a Y Style Necklace featuring our new ottoman coin. Sources in Turkey this dainty charm is perfect for the holiday season.